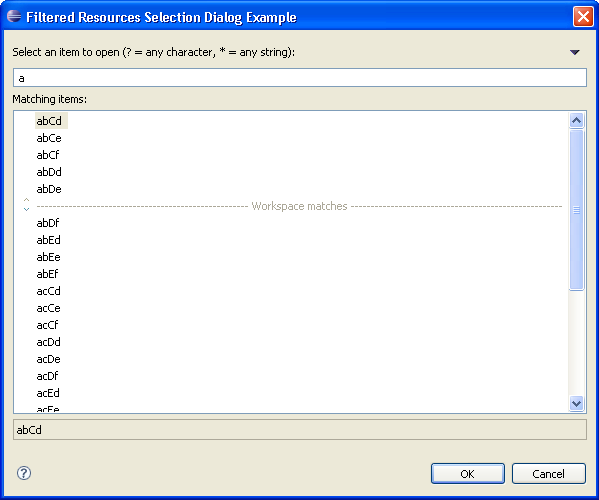 The dialog can be configured to save and restore the history of items that have been selected. Next we will expand the filter to hide all strings that start with a lower case character. Create a subclass of FilteredItemsSelectionDialog.ItemsFilter, implement the necessary abstract methods and override equalsFilter(ItemsFilter) and isSubFilter(ItemsFilter). These two methods are used to optimize filtering of the view. If a new filter is added that is equal to the existing filter, no further filtering is required. If the new filter is a sub-filter of the existing filter, then filtering is only done on the items that matched the existing filter. 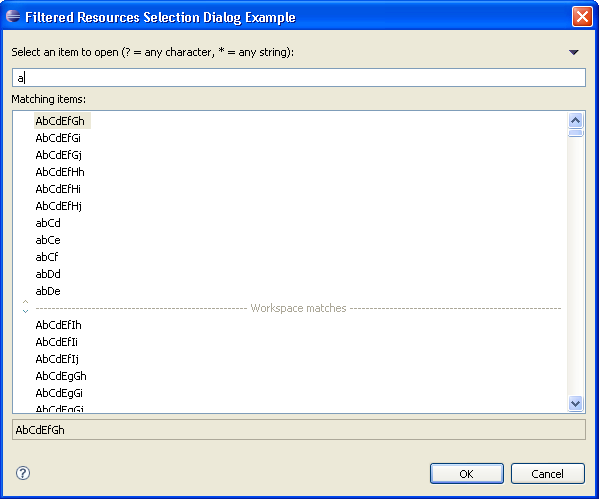 Now the dialog will only display strings that start with a lower case letter. 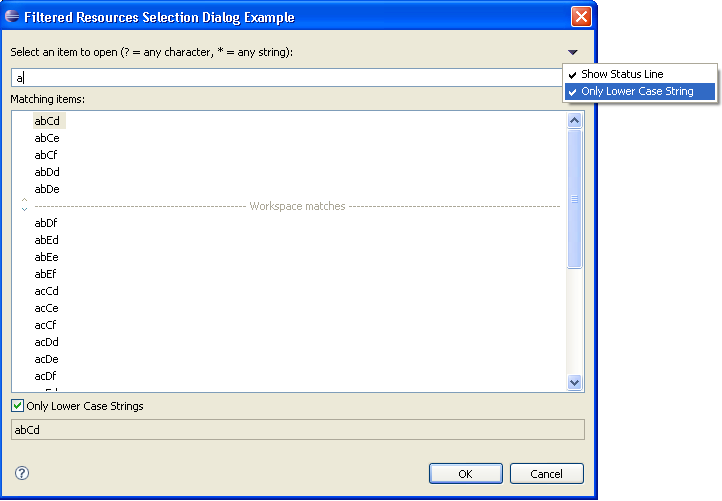 We will use a check-box and a menu action to indicate whether to filter strings that start with a lower case character. * Creates a new instance of the action.